January 14, 2019 – In its inaugural year having an employee giving fund, the employees of IronMountain Solutions and its subsidiaries raised and awarded $31,000.00 to 10 deserving non-profit organizations in our community. In March of 2018, IronMountain Solutions collaborated with the Community Foundation of Greater Huntsville to establish an employee giving fund. An employee board was formed, and the Employee Peaks Fund was established and initially funded with a $10,000 donation from the company. Employees then contributed more than $20,000 over the course of the rest of the year. “IronMountain Solutions as a company has always believed in supporting our community, but to see individual employees give their support to raise this amount of money in such a short amount of time is truly remarkable. It reinforces that we really do have the right kind of people on our team,” says IMS President & CEO Hank Isenberg. The Employee Peaks Fund Board of Directors began accepting grant applications over the summer. All employees who contributed to the fund were then able to vote on the causes they would like to support. We had the great privilege of handing out checks at the end of 2018 and into early 2019 – the perfect way to celebrate the holiday season! 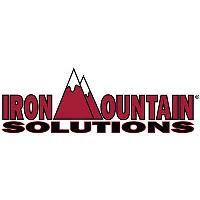 About Us: IronMountain Solutions is a Service Disabled Veteran Owned Small Business (SDVOSB) in Huntsville, Alabama specializing in providing support to our customer with expertise in systems, software and hardware engineering, cyber security, airworthiness, programmatic solutions, test and evaluation, logistics and safety services. IronMountain Solutions has made the Inc. 5000 list for the last 6 years in a row as one of the nation’s fastest-growing private companies and has been recognized for 3 consecutive years as one of Huntsville’s “Best Places to Work.” It is our vision to build an organization that customers, colleagues and employees want to work with on any project, large or small.